​​​​I recently received my package of the OontZ Angle 3XL by Cambridge Soundworks. Immediately upon opening, I was amused by how different this Bluetooth speaker looked. It didn’t come in the more common rectangular-box or cylinder shape – it had a prism-like appearance, which I thought made it look a little more appealing. It was almost a foot long, around eleven and a half inches, and it was 4 inches from the base to the top –or apex as my niece told me. Mine came in black, although it also comes in blue and pink. Black was the best option for me, since the screen/grille colors matched well with the body – I always thought things should always come in a single color. The speaker came with a charger, a quick start guide, and a 1.5 meter audio cable. I read through the guide, actually more like a quick scan through the more important stuff – and I started charging my OontZ speaker. It did have an auxiliary input port if your device didn’t have Bluetooth. I found that a bit amusing – considering Bluetooth is everywhere and devices that used auxiliary inputs were hard to come by. It was easier to find a phone with Bluetooth than it was to find a phone and an audio jack, and although there was an audio cable that came with the speaker – knowing me, it would probably misplace the thing in a month or two. While waiting for my Oontz to charge, I dove deeper into the manual. It was an easy read, simply detailing the ins and outs of the speaker. It had a pairing function so that you could use two speakers and have stereo sound – but I won’t go into that since I only have one. According to the manufacturer, the Oontz Angle 3XL is equipped with a powerful 40 watt driver that could produce and withstand 20 RMS watts without damaging the speakers. The speaker has two 2.75 precision drivers and two 13mm tweeters. It also has three passive bass radiators; one facing the rear behind the screen/grille and two facing the side. It can hold a charge for up to eight hours with the volume turned up to fifty percent, and the battery needs up to four hours to take a full charge. The charger came with the device, and it seemed durable. The connectors didn’t seem flimsy or easily worn. If you plan on doing long treks or an overnight party – you can buy an additional battery through the OontZ website. The speaker includes a USB port that acts as a power bank for charging your phone. Using this feature shortens the length of time the speaker remains active – but saves you from a depleted phone if you are out of the house. You can connect your smartphone, tablet, device, or even your pc via Bluetooth – or with the audio cable that comes with the speaker. With your phone connected to the speaker – you can even receive calls. The OontZ has a speakerphone function and a built-in microphone so you can use your phone hands-free. The manual said it was water resistant with an IPX5 rating. That sounded a bit too sci-fi for me. All it meant was that it could get splashed or sprayed and it would be fine. Mind you, I don’t think it meant you could use the speaker in the rain or the shower – that’s a constant barrage of water, and that will probably damage your speaker. If you have kids or little ones in your house – please explain the concept of water resistance and electrical safety to them. You wouldn’t want them charging any “water resistant” items in the shower. Adults take that for granted, but some children don’t seem to be aware of it – so better safe than sorry. It was loud! I was astounded at how much volume and power the OontZ Angle 3XL was dishing out. I cranked it up to maximum power, and I played Nightwish’s “I wish I had an Angel” – and boom! The sound was so rich and crisp. The music I was playing was very intricate – but I could clearly hear all the subtleties with the instruments, and the vocals were so distinct, it made me feel like I was there watching a flawless live performance. I took some time to comb through my playlists – not nitpicking, but some songs sound different depending on the speakers you use. I played a bit of Avril Lavigne, John Legend, Katy Perry, Eminem, Enya, Miriam Makeba, Snoop, even some EDM and Carmina Burana stuff. Yes, I listen to all of them – but that’s not important. What’s important is the OontZ did great in most (yes, just most) of the songs I played. Even at low volume settings, the OontZ had serious power; it was fairly louder than some speakers I previously came upon. At maximum, I would say it could probably reach around a hundred decibels – so don’t put it up against your ear. Even at that volume, there was little to no static or white noise -sounds were clear and distinct. To think that I was using only a single speaker – using a pair of these monsters would have been twice the volume, and I’m not prepared for that yet. I guess if there were a problem – it would be the bass sound. The OontZ was great for Rock, Pop, Jazz, and Classical – but it was a bit lacking for Hip-Hop, EDM, and House. The speaker highlighted the high and mid ranges very well, but the bass sounds were a bit lacking. The thumping of the bass notes were very clear and well defined, but they weren’t as dominant as they needed to be – especially for Hip-Hop, EDM, and House music. I asked my niece to drop by so we could compare speakers. I bought her a JBL Xtreme a couple of months back, and she was happy to oblige. We agreed to play the same songs on both speakers and see if there were marked differences in sound quality. On the other aspects of the speakers, she had experience with her JBL, while I could only rely on my guidebook for additional information. Holding the speakers, The JBL Xtreme was clearly heavier but not by much. The OontZ had the edge in aesthetics and design – although my niece was not a fan of saying or spelling OontZ. OontZ gets the first win for its looks (but not the hard to spell name). Regarding battery life – she triumphantly called out that her JBL Xtreme lasted around 12-14 hours, while my OontZ only lasted 8 hours. My Oontz had a removable battery, and I could buy an extra one – but I didn’t have one and buying and charging an extra battery seemed a bit taxing. JBL Xtreme for the win! The price of the speakers was a big surprise for my niece – considering the Oontz was almost half the price of the JBL. Add a few dollars, and you could use a pair of OontZ (OontZes?) in your room or at the beach. A clear win for the Oontz. I thought we were done, but my niece said “Wait… my speakers have Siri!” So our comparison continued, although I had little knowledge about this Siri - I knew what it was, I just wasn’t that “connected”. The Oontz didn’t have Siri, but it did have a charging bank for phones. Having Siri was a bit handy when playing music –but having a charged phone was important too. We called this one a draw, mainly due to my apathy towards robot overlords… ehrm assistants. 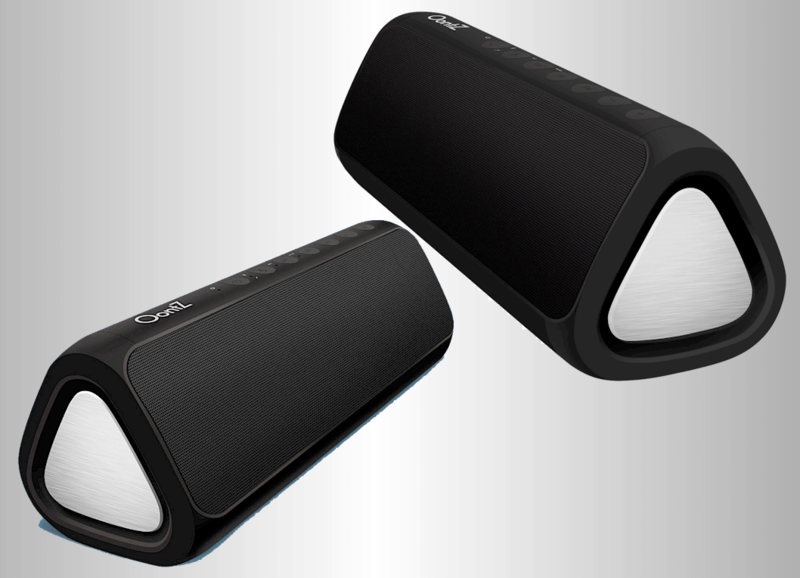 The OontZ Angle 3XL is a powerful speaker and is one of, if not the loudest speakers of its kind in the market today. It delivers excellent sound, and at higher volumes, it maintains a rich and detailed sound performance, outclassing those of its rivals. 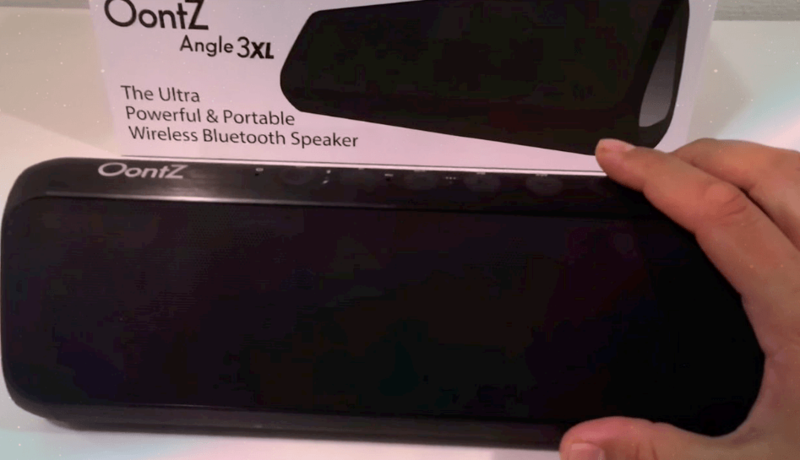 If you like to party or share your music with friends – then the OontZ Angle 3XL is for you. Whether it’s a party in your house, with the gang at the beach, or a family trek on a mountain trail – with just your phone and the right music - the Oontz will provide phenomenal quality and volume, making sure you feel every sound and every beat. Apparently, they came out with an improved OontZ Angle 3XL to make up for the low bass sounds. It’s called the Oontz Angle 3XL Ultra, and it solves that little issue with the bass notes.